The easiest way to make the most money. We take the same powerful tools that a 6% commission agent uses, and make them available to you for a low, upfront price. Buy only what you want. Pay nothing more. Your time is valuable. We use the power of software, so all of our tools are available 100% online. 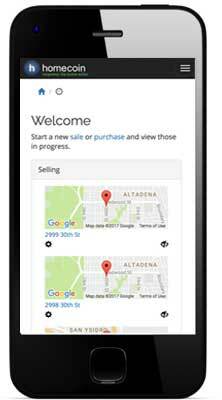 Have you ever listed on the MLS using your smartphone? With homecoin you can. homecoin gives you powerful agent tools for a flat-fee. "Consumers can save thousands of dollars in commissions (using flat-fee services)." homecoin has already helped hundreds of home sellers save millions in commissions. Sign up today and see how easy it is to make the most money on your home sale! The trick: "I guarantee your home sells, or I'll buy it!" The truth: The agent gets you to list at a price well below market value. No agent would buy a home for what it is worth, as they would lose money having to hold and resell. A home listed below market value sells quickly. If it doesn't, the agent buys it at the below market price. They win, you lose. The trick: "I have thousands of buyers in my database." The truth: The agent is trying to sell the house before putting it on the MLS, so they can represent both parties and double their commission. This is known as a "Pocket Listing", and it is notorious for the seller making much less money. Even the Realtors® Association has warned of the danger. The trick: "Your home is worth more than you think!" The truth: The agent gets you excited by saying he will get you a higher price than any other agent has stated. This is known as "Buying a Listing". Once your home is listed, it won't sell. Eventually the agent will talk you into lowering the price to the true value. The Multiple Listing Service ("MLS") is an agent-only database where agents list homes for sale and offer other agents a commission for finding a buyer. 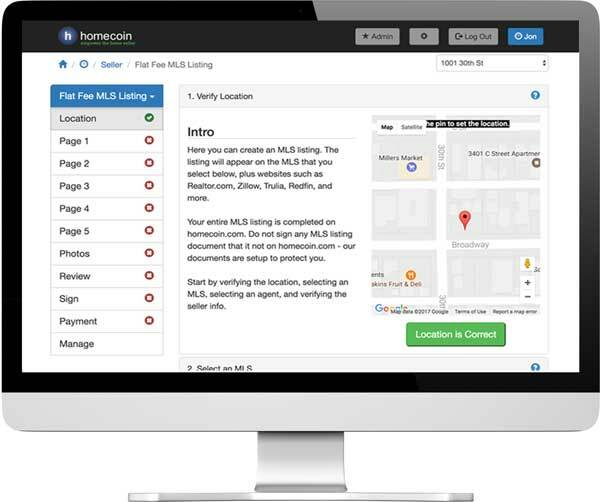 You can list on the MLS without paying a commission using homecoin.com. Learn more about the MLS. 1. The MLS enables a seller to offer a commission to buyers agents. Agents will typically not go to homes where a commission is not offered. Note that a 6% commission is not set in stone. The typical commission is 5.4% and will vary based on home value.